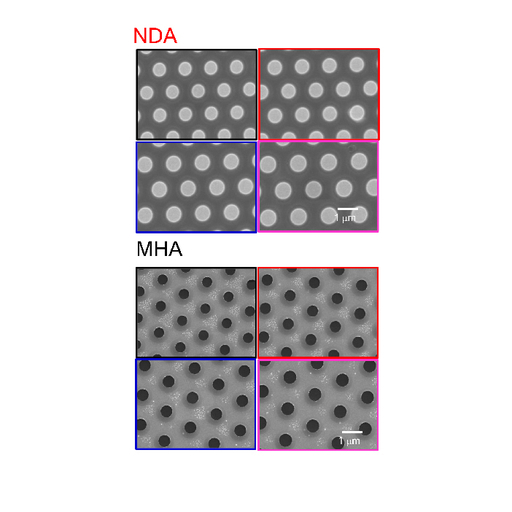 We have investigated the variations in the transmission spectra of nanodiscs as well as metal hole array plasmonic structures as a result of the hydrogen adsorption–desorption processes. The structures have been shown to be a viable platform for all-optical hydrogen sensing in the infrared. In cases of both nanodisc and metal hole arrays, upon exposure to hydrogen, a redshift of the plasmon resonance band was observed. Response time as well as the magnitude of the spectral shift was similar for both plasmonic structure types. Yoshiaki Nishijima, Armandas Balcytis, Gediminas Seniutinas, Saulius Juodkazis, Taro Arakawa, Shinji Okazaki, and Raimondas Petruskevicius, Plasmonic Hydrogen Sensor at Infrared Wavelengths, Sens. Mater., Vol. 29, No. 9, 2017, p. 1269-1274.